Be confident in using Dynarev. 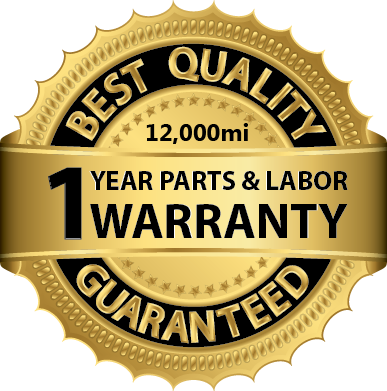 All Dynarev work comes with our 12 Month - 12,000 Mi Labor Warranty. If you have any issues with work performed simply call 847-371-1937 and we will have you talk to a technician to quickly and efficiently resolve the concern. We always endeavour to get the car right and customer happy. A technician is quickly assign to resolve the concern. You are never made to feel defensive; our technicians have a solution-focused attitude to warranty calls. Motoring will be a safe and secure journey using Dynarev.